The National Rugby League (NRL) has a policy of using world’s best practice in risk management to support and enhance activities in all areas of our organisation and to ensure that risk management is an integral part of our decisionmaking process. We use a structured risk management process to minimise reasonably foreseeable physical, financial, legal and ethical harm to people, disruption to operations and damage to the environment and property. We identify and take advantage of opportunities as well as minimising adverse effects. We train our people to implement risk management effectively. We strive to continually improve our risk management practices. 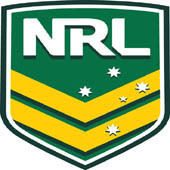 The National Rugby League and its affiliates are dedicated to providing a safe, healthy and professional environment for all members and providers participating in rugby league activities – including players, coaches, officials, volunteers and paid and unpaid administrators. As Australians we have a very high regard for sport in our culture and community. 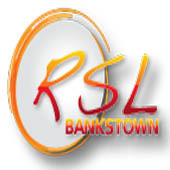 The National Rugby League, the Affiliated State Leagues and all their affiliated bodies recognise the right of each and every individual to participate in and enjoy our sport, at whichever level they choose to participate. We are committed to providing for all participants, particularly children, an environment which is free from harassment and abuse, and promotes respectful and positive behaviour and values. The codes of conduct included in the Member Protection Policy form the basis of appropriate and ethical conduct that everyone must abide by. Rugby League as a sport is proud to lead the way in ensuring safe and harassment free sport for all our participants, from loyal fans to juniors to first grade players. The National Rugby League is committed to ensuring that everyone associated with our organisation complies with these policies and procedures. 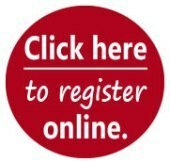 The New South Wales Rugby League Ltd (NSWRL) Child Protection Policy (Policy) applies to all participants (Members) registering to play, officiate, coach, administer or volunteer at NSWRL clubs, associations, districts and affiliates. All Members must comply with the Policy. Where reasonable, all parties connected to Rugby League in NSW and the ACT, including sponsors and spectators, must also comply with the Policy. The Policy has been endorsed by the NSWRL and incorporates and supports the National Rugby League Member Protection Policy (NRL Policy). Further, the NRL Policy, as incorporated into the NRL Code of Conduct, binds all Members. For removal of all doubt, parties bound by the NRL Policy, the NRL Code of Conduct, and connected to Rugby League in NSW and the ACT are also bound by this Policy. This Policy commences on 01 April 2015 and will operate until replaced. The Policy will be fully implemented at all NSWRL clubs, associations, districts and affiliates by 31 March 2016. 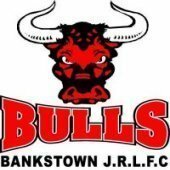 From 31st March 2016, all Junior Rugby League clubs affiliated with the NSWRL must only ‘employ’ workers (paid or voluntary) involved directly with the children’s teams if the worker has a valid Working with Children Check (WWCC), has applied for one, or if exempt, has provided the club with a Statutory Declaration, Undertaking and Consent. Under the new Child Protection Policy, the NSWRL and its affiliated clubs, districts and associations, agree to the following enhanced requirements in addition to the Statutory regime.